The rich wildlife of the Berry district is no accident. Our native birds and animals rely upon the habitat provided by patches of native vegetation, and their inter-connectedness along creeklines and roadsides. Roadside vegetation is particularly valuable for providing these connections because roads often cross catchments and traverse landscapes that were otherwise cleared. Movement along these corridors is critical for the sustainability of flora and fauna populations. Corridor connectivity helps maintain genepool diversity, sustainable territories, and seasonal migration. In the future, changing climate will shift the location of habitats and necessitate the movement of the plants and animals dependent on those habitats. 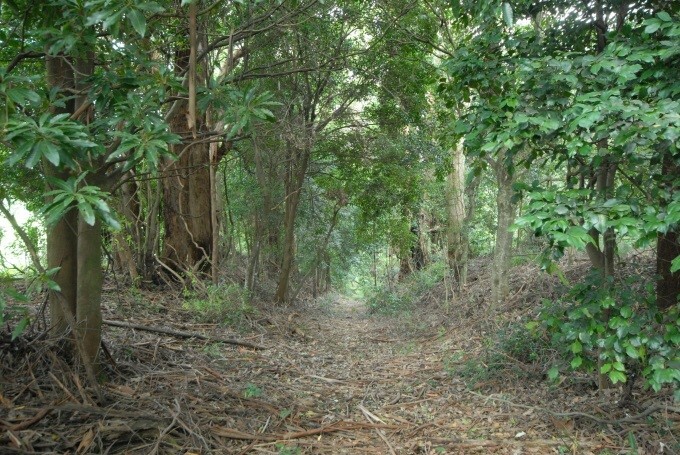 A nationally important wildlife corridor, known as the ‘Berry Corridor’, occurs in our district and links the Coastal Plain (Seven Mile Beach NP), with the escarpment and plateau (Barren Grounds Nature Reserve). A number of roadside environments provide important linkages within this Corridor, including Agars Lane, and the Beach, Gerroa and Boundary Roads. Boundary Road is a notable example. This road runs east-west and marks the northern boundary of the Berry Estate lands (from 1829). It was formerly known as Cedar Lane. By the late nineteenth century the road boasted five timber bridges. Sometime after 1948, a number of these crossings were destroyed, resulting in a 600m section being impassable to vehicles. Revegetation commenced from this time onwards. Now used as a walking and horse trail, this easement section is known as ‘The Link’ and displays a range of native vegetation communities. It is valued as a wildlife corridor and recreational asset. It is a long running Berry Landcare bush regeneration site and responsibility for its management was transferred by the Crown Lands Authority in 2013. A 1949, aerial photograph reveals only a handful of mature trees within the Link, with the majority of the easement cleared and grassed. A native canopy now extends across more than 70% of its length. The management of roadsides as wildlife corridors presents a multitude of challenges, particularly when the safe function and maintenance of roadways must also be realised. These include weed control, replanting, regeneration, and the minimisation and mitigation of disturbance. Everybody can play a role in caring for our native roadside vegetation by not dumping garden waste on road verges and caring for your own frontage where appropriate. Why not participate in maintaining our local wildlife corridors? Along with our regular monthly working bees, Berry Landcare is holding a Berry Wildlife Corridor fieldwork weekend at the Link and some other Berry Corridor regeneration sites on the weekend of the 5 and 6 May 2017. Contact Jim Jefferis for details 4464 2988.